A Shroud of Thoughts: Happy 97th Birthday to Olivia de Havilland! 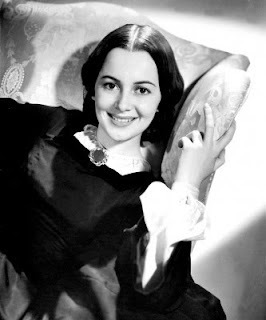 Happy 97th Birthday to Olivia de Havilland! Today is Olivia de Havilland's 97th birthday. Along with her sister, Joan Fontaine, she is one of the last remaining stars from the Golden Age of Film. What is more, she is the one of the biggest stars of all time. Not only was she one of the lead actors in what is the biggest film of all time when adjusted for inflation (Gone with the Wind), but she starred in a large number of films that are now regarded as classics. In honour of Miss de Havilland's birthday, I thought I'd look back at her career with a few photographs of her. 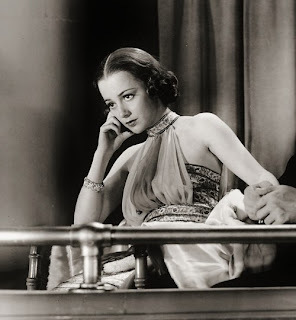 This is from It's Love I'm After, a 1937 screwball comedy in which she co-starred with Bette Davis and Leslie Howard (two years before they would appear together in Gone with the Wind). It is one of my favourite Olivia de Havilland films. 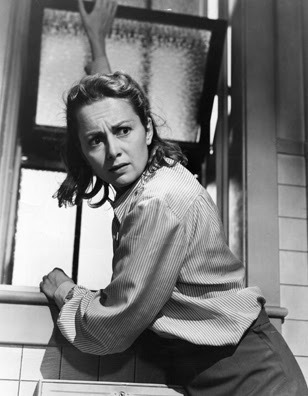 Olivia de Havilland in what may have been her best performance, as a mental patient in The Snake Pit. This was a very important film, as it actually led to reforms at mental hospitals across the United States). Olivia de Havilland and Yvette Mimieux in a still from The Light at the Piazza. The film was largely shot on location in both Florence and Rome. 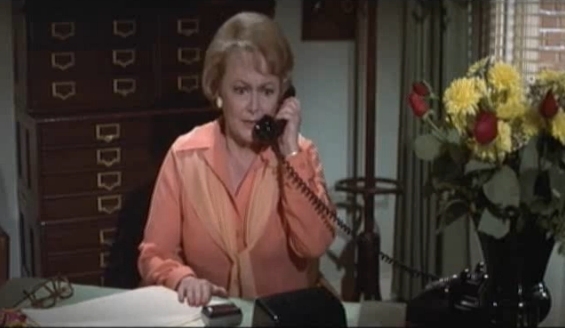 A screen shot from Olivia de Havilland's penultimate film, The Swarm. I have to confess it is not one of my favourite movies in which she appeared!